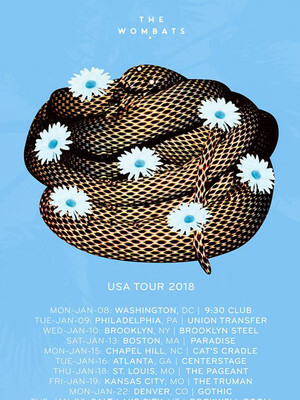 Purveyors of kinetic and confessional indie rock with a dance-pop sheen, The Wombats are back in the US to tour their latest album, 'Beautiful People Will Ruin Your Life'. This fourth album is full to the brim with their iconic rock undertones and dance-ready melodies. First formed in 2003, their first album, 2006's 'Girls, Boys and Marsupials,' was a collection of witty, catchy anthems that landed on the UK charts with a bang, as lead singer Matthew Murphy's hilariously honest tales of coming of age hit a nerve, with 'Let's Dance to Joy Division', 'Kill The Director' and 'Moving to New York' becoming instant classics. Their sophomore effort, 'This Modern Glitch' followed up with a sleeker, but no means unbridled sound, which their third album 'Glitterbug' inhabited perfectly. Turning up the synths to 11 and the donning their best dancing shows, Beautiful People Will Ruin Your Life is set to cement The Wombats at the top of Indi genre. Seen The Wombats? Loved it? Hated it? Sound good to you? 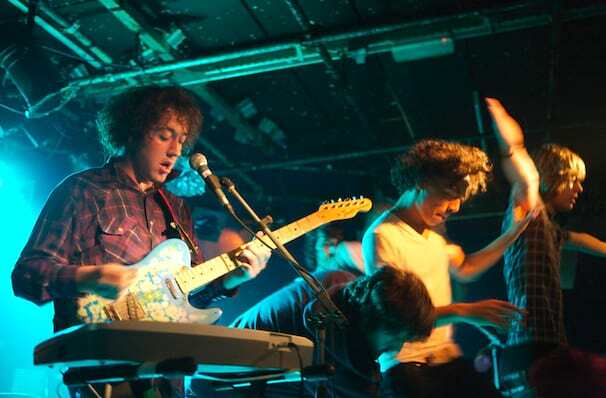 Share this page on social media and let your friends know about The Wombats at Corona Theatre. Please note: All prices are listed in US Dollars (USD). The term Corona Theatre and/or The Wombats as well as all associated graphics, logos, and/or other trademarks, tradenames or copyrights are the property of the Corona Theatre and/or The Wombats and are used herein for factual descriptive purposes only. We are in no way associated with or authorized by the Corona Theatre and/or The Wombats and neither that entity nor any of its affiliates have licensed or endorsed us to sell tickets, goods and or services in conjunction with their events.